During the last fiscal year alone, the On The Ground program was able to recruit 659 volunteers over the span of 27 projects statewide. All of this work accumulated to 3,450.30 volunteer hours for a single year. Just let those numbers sink in for a second and imagine the amount of work that was able to be accomplished by volunteers like yourself. It’s truly incredible. If you’re like me, though, you can read all of the blogs that you want about projects, but visualizing the amount of work done statewide since the program’s inception in 2013 is pretty difficult. To combat this, I have decided to create an interactive custom Google map of all OTG projects with project types (Hunter access, habitat improvement/creation, invasive species removal, tree planting, etc.) and a description of the project that includes the date and year the work was done. This is something that I’m really excited to roll out for you guys, as I think it will not only help put into perspective the impact that this program is making, but also help you get involved and reap the benefits of the work done on areas local to your home. Another great utilization of this map is that it helps create a visual representation of areas that we have previously focused on, and those areas that we will try to get more projects on in the future. I’m hoping to have it completed within the next week or so, so be sure keep an eye out for it. To help you better get an idea of what to expect, check out the Michigan Wildlife Cooperatives map here (at the bottom of the page). It’ll function and look the same, but just for a different purpose. This class is tentatively planned for March 23-24, 2019 from 8am-5pm both days. This will partially be a classroom-instructed class, with the remaining part being in the field doing hands-on cutting of black locust. This will be (nearly) identical to last year’s class, which you can read the blog for and get an idea for what to expect here. The class will be held at Rose Lake State Game Area Shooting Range inside the Glassen Building, and we are working with the same instructors that hosted the event last year as well. All details surrounding this class are tentative and subject to change (don’t put it on your calendar in pen quite yet). The goal is to have all details and instructors solidified by the New Year, and you can be sure that I’ll be posting that right here for you, along with a registration link. If you have questions or comments before the official schedule and details are posted, please don’t hesitate to contact me, Hunter Salisbury, at hsalisbury@mucc.org. For now, keep this in the back of your mind and get excited for a great day of chainsaw safety with the best instructors! On January 19, 2019 we will be working at St. Clair Township State Game Area to thin the edge of the area and create less-harsh boundary lines for wildlife. This will include felling boxelder trees and then using those trees to create rabbit habitat on the area for better hunting opportunities on a game area that is not as frequently visited as it’s neighbor, Port Huron State Game Area. On February 2, 2019 we will be building wood duck boxes and placing them around Shiawassee River State Game Area. This is a great opportunity for kids and families to get out on a winter day and do work for wildlife! On February 23, 2019 volunteers will be cutting brush along dikes and cutting an opening in the timber into D Unit of the area for better migratory bird access. More details for each of the projects and their corresponding registration links can be found here. 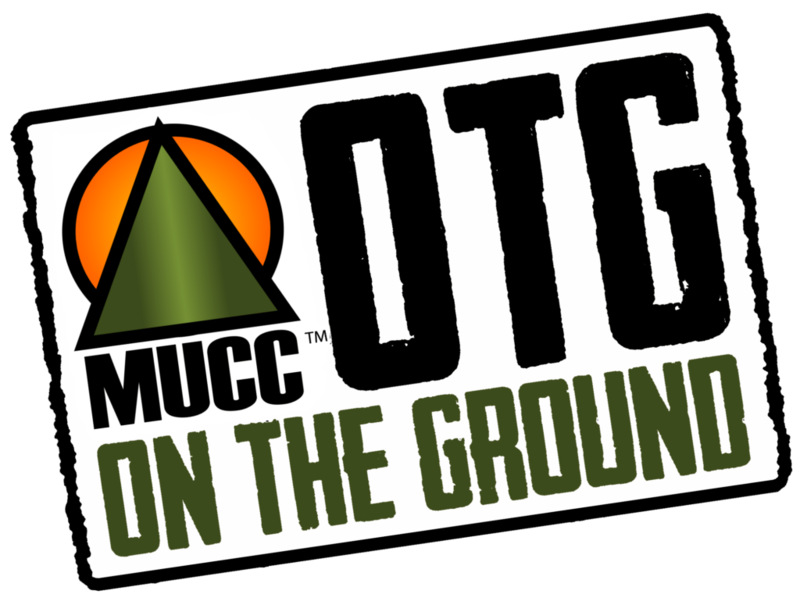 As always, please don’t hesitate to reach out to me with any questions, comments, or concerns about projects and anything involving the OTG program. In addition, if you have an idea for a project that you would like to see happen on public land, I’d love to hear it! Hey Joe, I checked and you are registered! Feel free to contact smckeon@mucc.org for more info! Thanks.